The muzzle of a lion is like a finger print no two lions share the same pattern of whiskers. A pride of lions can number from 4 to 47. When a lioness is about to have her cubs she leaves the pride until her cubs can walk. Lioness conduct 90% of the hunt,Hunting and domestic duties is the key to pride life. Lions Live on average 20 years 26 in captivity. A Lions roar can be heard for up to 5 miles. they can jump up to 36 feet high. Lions can run 37 mph. A Lions Roar Can Reach 114 Decibels. The sound of a Lions roar is 25 times louder than a gas lawn mower. at the end of their tails. up to 16 cm 6.3 inch long. at mating time and frighten off rival males. more pigmented and eventually turn black after about eight years. to sustain it in the wild. Lion`s can`t Roar Until they reach 2yr`s Old. apart from roar, these include: growl, meow, grunt and a puff (used in close situations). Largest Lion in captivity: 806 lbs (366 kg. Largest Lion found in the wild: 702 lbs (318 kg) and 11�� (3.35 m.
and, on occasion, may even try to kill them. When lactating, females will allow any cub in their pride to nurse. ignore lions wandering close to them. Lions can go without food for more than a week. is likely to be an undefeated combatant. disrupted,either at conception or while in the womb. The darker the mane, the older the lion. The lion was once found throughout Africa, Asia and Europe but now exists only in Africa, with one exception. The last remaining Asiatic lions are found in Sasan-Gir national park in India, which was primarily created to protect the species. The reputed king of the jungle is extinct in Djibouti, Egypt and Eritrea. its own weight up to 5.7 m (19 ft) into a tree. Leopards are found through out Africa but not in the Sahara. But could go a month without water. No two leopards have the same markings or colour. In fact each leopard's spots are unique, similar to human fingerprints. which is a combination of leon (lion) and pardus (panther), according to PBS Nature. The leopard's spots are called rosettes because they look like roses. A leopards spots may be round or square in shape depending on the region. Leopards protect their food from other animals by dragging it high up into the trees. A leopard will often leave their prey up in the tree for days and return only when they are hungry! A male leopard can drag a carcass three times its own weight � including small giraffes � six metres up at tree. faintly visible, and sometimes they are even born into the same litter as common leopards. Cheetahs are the only cat that can`t retract it`s claws. Cheetahs were once raced against greyhounds. Cheetahs favorite prey are Thompson`s gazzelle. Seconds can maintain speed for 1000 feet. 30 minutes During this time the cheetah is almost defenseless. cover 23 to 26 feet. as long ago as 3000 B.C. which help them to camouflage themselves. keep the sunlight from blinding them while they hunt. Cheetahs can purr, but they can't roar. An average tiger litter consists of three cubs. There is eight subspecies of tigers reconized today. Tigers have striped skin,not just striped fur. There are three subspecies of Tigers that are extinc the Bali tiger,Javan tiger and the Caspian tiger. A tigress becomes sexually mature at three to four years old. The sumatran tiger has the most stripes of all the tiger subspecies,and the siberiantiger has the fewest stripes. 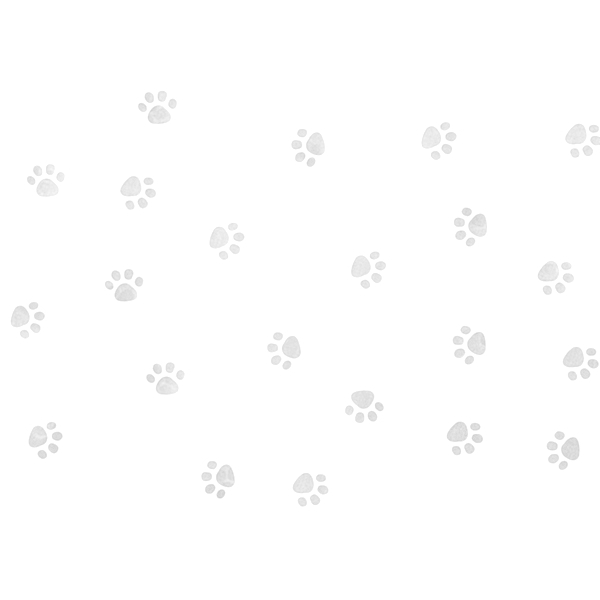 A tigers paw prints are called pug marks. A tigers sense of smell is poor. Tigers occupy a range from Soviet Union and Iran,through India,China,southeast Asia,Malaysiaand Indonesia. In a good leap,a tiger can cover more than 30 feet. The Siberian Tiger needs to eat over20 pounds of meat a day to sustainitselfin the cold climate.It is capable of eatingover 100 pounds of meat in one sitting. A Tigers paw prints are called pug marks A tigers forefeet have five toes and the hind feethave four toes.All toes have claws.The Claws are80 to 100 mm in length. The length of a tigers canine teeth can be between 74.5 to 90mm. that has begun to putrefy. A Tigers tail is 3 to 4 foot longabout half as long as its body. The heaviest Tiger recorded in the Guinness Book of World Records is a1,025 pound male Siberian Tiger. Bengal Tiger, is the world's largest cat. The bengal tigers roar can be heard 2 miles away. Tigers purr only when breathing out. Kill around 18 months of age. them tolerate temperatures as low as negative 45 degrees. Adult Males weighs an average of 425 lbs. Females average 350 lbs. Adult Tigers have 30 Teeth. Mother for up to 2-3 years. have been seen in the wild of India. Largest Siberian Tiger found in the wild: 845 lbs/ 384 kg. Longest Siberian Tiger found in the wild: 12ft / 3.9 m.
Largest Bengal Tiger found in the wild: 857 lbs/ 389 kg. 3.22 m 10 ft 7 in between pegs (3.37 m 11ft over the curves. Joan Byron-Marasek of Clarksburg, New Jersey, USA. length and weiged 423 kg 932 lb in October 1986.
of tigers in China and Korea are drawn with 王 on their forehead. The white spot on the back of Tigers Ears is called an Ocelli. will fight to the death over a kill. for the animal with the greatest number of names. It has over 40 names in English alone. prey 20 feet along the ground. A mountain lions tail is used for balancing. Mountain lions are one of the most widely distributed of mammals. Cougars are champion jumpers among cats,able to execute a 30 ft standing broad jump or an 18 ft jump straight up the face of a cliff. A cougar from a suitable vantage point can drop65 ft to the ground with out injuring itself. Cougar Cubs weigh "1lb" at birth,Butby one year of age they are 60-90 pounds. can run 45 mph in 4.7 seconds. Jaguars rang from sothern Arizona and New Mexicoto lower Patagonia. heat of the day half-submerged in a stream. bite of any of the big cats. �Yajuar�, which means �he who kills with one leap'. Jaguars� rosettes are bigger than thos of leopards, and have a spot in the center. A snow leopard can leap up to 50 feet. 90% of it`s body length. it`s dense fur makes it look larger. The female is about 30% smaller than the male. in fact, snow leopards are known to avoid human presence than any other big cat. snow leopards bred in captivity are said to have lived up to 21.
a general program of environmental enrichment. canine teeth of any living cat. Big cats roar about 50 times in 90-second bouts. Ligers and Tigons are *man made* since lionsand tigers don`t mate in the wildA liger has a male lion father and female tiger motherTigons are the reverse. Male tiger,female lion. if a space is too small to squeeze through.